Gucci, Burberry and other luxury brands are reacting to a social media-driven catwalk show landscape with strategies that show gender is proving less important than the battle between slow-burn and fast-fashion. Luxury fashion is changing and we can thank (or blame) the internet and social media for that. Trends now circumnavigate the globe before a catwalk show has even finished and brands are being forced to respond. The benefits the social media conversation brings in terms of brand storytelling and demand creation are undeniably huge. But such instant circulation has also left the old catwalk model (two seasons, separate mens’ and women’s shows, clothes delivered to stores six months later) appearing increasingly irrelevant. The recent autumn/winter 2016/17 shows were accompanied by a raft of announcements around changes to the time-tested model, with the tendency towards "see now, buy now" grabbing most headlines. But slow fashion is not going down without a fight and this week slow fashion stalwart Gucci surprised many with the news it would combine its separate men’s and women’s shows into one mega-event from next year but was continuing to back "see now, buy later". Combining men’s and women’s shows may not seem like big news to some outside of fashion. But for a venerable house like Gucci it is seismic. The seasonal fashion show is the lynchpin of any luxury collection, building buzz and generating a tsunami of free publicity. Changing it is a big move. Gucci creative director Alessandro Michele says the new strategy "seems only natural" and "will give me the chance to move towards a different kind of approach to my storytelling." 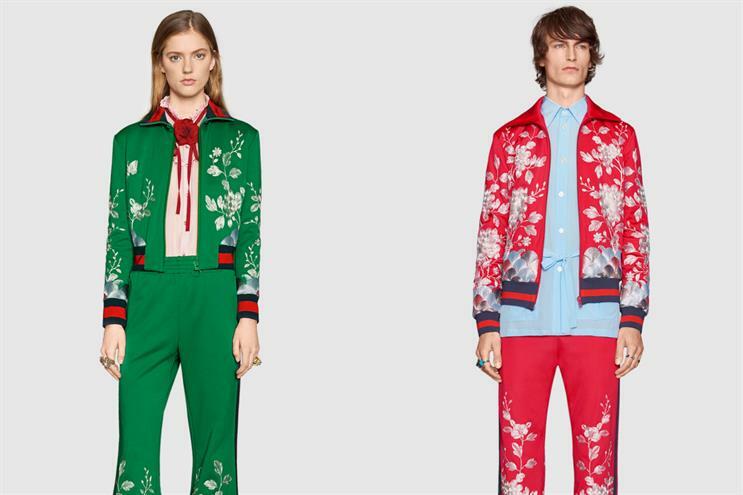 "In its essence, this is about closely aligning the Gucci menswear and womenswear offers to present a unified message and to tell a clearer brand story at a single moment in time," says Sue Evans, head of catwalks at research firm Stylus. "The old approach of men’s and women’s shows several months apart just doesn’t work when Michele has brought the two collections so close together style-wise." Kat Towers, head of culture at LOVE, says the gender blend is part of a growing movement in fashion. "In a world of gender fluidity, gender neutrality is becoming mainstream," she says. "More brands are taking this approach to design and marketing, from Jaden Smith in Louis Vuitton ads [pictured above] to Zara's Ungendered line. "The millennial audience is less interested in separate female/male stories and is seeking out brands with a strong identity and direction." She adds: "Let's not forget combining the two shows has commercial benefits too. It's more cost-effective. Ultimately, this is a movement we will increasingly see more of and one marketeers should pay attention to." One thing Gucci’s announcement was not was a sign that it is signing up to the insta-fashion movement as embraced by brands such as Tom Ford, Vetements, Tommy Hilfiger, Moschino, and (most famously) Burberry. Gucci made it clear it remains committed to "see now, buy later". Dr Paul Marsden, research psychologist at the London College of Fashion, author of Connected Marketing, and digital strategist at Syzygy, thinks this makes sense for Gucci. "The experiential component of what people buy is increasingly important," he says. "Anticipation is part of the experience. Insta-fashion kills an experiential dimension. "If luxury is about ‘status-consumption’, signalling rank and privilege through the consumption of scarce resources, then 'see now, buy later’ makes sense if the consumption of the exclusive show experience is part of the overall experience. Insta-fashion works for the masses, but the sweet anticipation of luxury works for the elite few. "On the other hand, if the move is to prop up an archaic retail channel, then [Gucci] is the King Canute of fashion." Burberry, by contrast, is moving with the demands of the masses. The digitally savvy British brand is the standard bearer for sped-up luxury fashion. Like Gucci, it is combining its four annual men’s and women’s shows into two events. Unlike Gucci it is making the product available instantly. Yet, despite the surface differences are the Gucci and Burberry approaches fundamentally opposed? "Both will be showing collections in advance to buyers and both will be creating season-neutral product that can be worn by their customers whether they’re in Bermuda in December or Siberia in July," says Evans of Stylus. "The biggest difference, and the one that marks them out as following very distinct paths, is that Gucci wants to continue to create slow-burn desirability while Burberry is backing instant gratification." While some in the luxury sector feel that offering instant gratification means luxury is too closely emulating the mass-market, some marketers disagree. Daniel Williams, luxury and lifestyle planner at Leo Burnett London, thinks Burberry’s "see now, buy now" move is actually a step away from the disposable fashion of the high street. It may be insta-fashion but it isn’t ‘fast fashion’, he believes. "The branding and economic considerations of a seasonless fashion calendar are high and wide-ranging," he says. "Luxury brands are evolving the way they push product. I think we'll see them focusing their collections into capsule pieces that can be worn all year (and by both genders) with system functionality. "That is to say, a heavy-jacket that's styled seamlessly with base layers for an outfit that can work in the height of summer and the depths of winter." He adds that this enables luxury brands to promote their core products through the year. "If they're pursuing a luxury strategy, instead of a fashion strategy, the core product silhouette shouldn’t change too often. There should be small detail changes. Think the Burberry trench as an example." Yet while both the Gucci and Burberry approaches have their backers, one thing is clear - the traditional catwalk model is splintering, says Sue Evans. "Gucci is going for a men’s/women’s combo but not for insta-fashion, Burberry has ‘buy now’ joint men’s and women’s shows. "Some labels are showing their collections via lookbooks or video-only shows. And most are sticking to tradition. It means the next set of shows this autumn will be interesting to say the least. To paraphrase Bette Davis in All About Eve: ‘Fasten your seat belts, it’s going to be a bumpy season’."